Cloud-based – rapid deployment and maintenance. 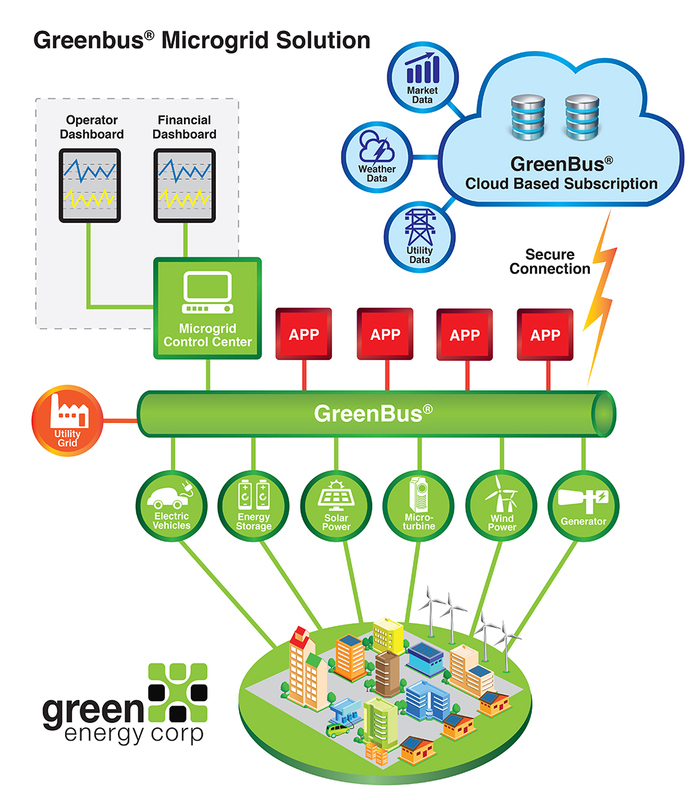 Green Energy Corp™ GreenBus® software interoperability platform enables the adoption of evolving Smart Grid technologies and integration with legacy power and communications infrastructures. Microgrid developers can now design and implement an architecture that supports technology adoption over time, while realizing the business benefits incrementally. Green Energy Corp uses the open source approach for GreenBus® which allows for global participation in the creation and continued enhancement of the software platform and advanced energy management applications. GreenBus® is provided through a customized open source software subscription model. Green Energy Corp provides subscribers with full access to the GreenBus® open source libraries, maintenance/certification of all GreenBus components, and management of the evolution of GreenBus to serve as the state-of-the-art platform for microgrid management. SQL and NoSQL Data bases for static and real time data, respectively.